This guide tells you everything you ever wanted to know about Singapore Math: is it spiral or mastery? Do I need the Home Instructor’s Guide? What makes Singapore Math different from other homeschool math programs? This time of year marks the halfway point in our academic calendar, and it’s when I take stock of our curriculum and educational plan, making changes based on what’s working and what isn’t. Since I’m planning for a sensitive, headstrong , sensory-seeking, asynchronous six-year-old who taught herself to write at age two, and who currently reads and comprehends well beyond middle school level, I’m always, always, adjusting. Not pushing, but adjusting; adjusting, and following her lead. Just because I love a book or a method, doesn’t mean it will be the best choice for her. And many times, I’ve purchased curricula in advance, only to find that she’d already outgrown the content by the time I planned to use it. Flexibility is key. But no matter how objective I am about what’s working and what’s not, I can honestly say that Singapore Math always makes the cut. I receive messages nearly every week from inquisitive parents who wish to test the Singapore waters, but are apprehensive for one reason or another. In fact, I’d venture to say that of all the curriculum we use, Singapore Math piques the largest amount of curiosity — and is victim to the largest amount of misinformation. Here are the questions I am asked most often. Why Singapore Math, in particular? The approach Singapore takes in teaching math concepts is more in line with the type of mathematics instruction students receive in the non-US countries where math scores are higher than US student math scores. The plain truth is that the way mathematics and arithmetic have been taught in the United States for years hasn’t actually worked out that well. Each of us, of course, has had a different educational experience, and while some personally feel their math educational suited them well, I hear over and over from people who feel rather strongly about having been insufficiently equipped by American math instruction. In either case, the rankings don’t lie. The most recent (2015) global rankings of students across the seventy-two countries reveal that in math, American students rank 35th out of 72. Thirty-fifth! That’s far below even the global average, and is sadly even worse then the 2012 results (28th out of 72). Vietnam, Lithuania, Malta, and Latvia — just to name a few — are all doing a better job teaching math than the United States. Do you know which country ranks first in math scores? That’s right, Singapore. When we look at mathematics and arithmetic as subjects only some people have the capacity to understand, we do everyone a disservice. I’m often equally fascinated and disheartened by the muscle thrown behind pre-literacy efforts, while any similar push for pre-numeracy skills is seen as hothousing, or rejected as developmentally inappropriate. We simply don’t have the same kind of reverence for opening up the world of 123s as we do for opening up the world of ABCs. Maybe, just maybe, we’re conditioning our kids early to feel like math is inapproachable, difficult, and “only for math people”. Can you achieve the same results as students in Singapore, just with the Singapore Math curriculum? Is Singapore Math is only suited for kids who are good in math? Certainly there are different learning styles and different personalities. But, to unilaterally say that the Singapore math methodology is only good for “kids who are already good in math”, is to ignore not only the very real difference in cultural attitudes toward math and beliefs about children’s math ability, but also the fundamental differences between typical math instruction in the United States and typical math instruction in Singapore. What makes Singapore Math different? Is the Home Instructor’s Guide really necessary? Yes. The Home Instructor’s Guide contains the bulk of the Singapore Math program. Beginning with Level 1A, it would be difficult to teach the program in a truly Singapore-method way without it. In fact, if I were to assemble a Singapore Math curriculum on a tight budget, I would omit the textbook before I ever omitted the Home Instructor’s Guide. The fact is, without the strategies in the Home Instructor’s Guide, you will inevitably teach math the same way you learned. The Home Instructor’s Guide gives you easy-to-understand, practical, and usable access to the “concrete, pictorial, abstract” method. This is necessary not because elementary math is hard, but because this is the method which sets Singapore Math apart from other math programs. Unless you happen to have prior experience teaching the Singapore Math method, I do not believe the student workbook and textbook by themselves are adequate to teach the Singapore method. The Home Instructor’s Guide contains games, tips, and suggestions to explain abstract concepts in concrete ways. Singapore Math never expects the student to simply accept a math rule and begin carrying it out, without a logical buildup and explanation. I have sometimes heard detractors of this program argue that Singapore Math students will end up deficient in math facts, because of the program’s focus on the why and how behind mathematical concepts. In actuality, students end up proficient in both arithmetic (calculations) and mathematics (theory), because Singapore Math understands that these two go hand in hand. For each kind of math problem or concept, the Home Instructor’s Guide teaches several strategies and approaches. I especially like this, since different approaches will be hits for different kids at different times. And by being exposed to several ways to tackle each kind of problem, the student gains a deeper understanding of each problem, and learns how to solve problems most efficiently. This means that when a student is working through pages of math facts in the workbook, he or she is not just rewriting memorized facts, but is actually practicing mathematical thinking and learning how to employ different problem-solving strategies. And the fascinating thing I’ve observed is that through working this way, the student memorizes math facts without even realizing it. In beginning addition instruction, for example, the student is required to memorize facts through 20. Rather than being given a stack of flash cards and timed tests, the student is instead given physical objects to sort and count. As the student is engaging in tactile ways through moving counters/manipulative, the student is being taught strategies, such as memorizing doubles (this allows him/her to know all doubles and all doubles plus one), counting up by 1, 2 or 3, and training his/her brain to spot the combination of numbers equaling ten in any given set of numbers. When a student becomes stuck, he or she is prompted to count up, look for doubles, or look for a ten. If a student still hasn’t grasped memorization at the end of this process, the Home Instructor’s Guide encourages the student to pause and work through mental math exercises, provided in the back of the guide, before moving on to the next unit. But for the most part, as the student goes through this process — progressing through the concrete, pictorial, and abstract stages — the student finds he/she is suddenly capable of doing addition entirely mentally! Mental arithmetic ability is achieved through building a thorough understanding of mathematics. I wholeheartedly endorse the Home Instructor’s Guide as a means to implement the Singapore Math method. Is Singapore Math spiral or mastery? In the sections of the curriculum which learn toward mastery, users of only the workbook and textbook might think there is not enough substance to adequately master the material. However, users of the Home Instructor’s Guide will see that for each simple-looking problem in the student books, there is a wealth of teaching in the Home Instructor’s Guide on the mathematical reasoning, problem solving, and abstract thought behind each type of problem, as explained above. Is Singapore Math Common Core? Yes, and no. There are three different, separate versions of Singapore Math , and each is very clearly named: the U.S. Edition, the Standards Edition, and the Common Core Edition. Only the Common Core version is aligned to Common Core standards. Which edition of Singapore Math is best? Generally, when people refer to “Singapore Math”, they mean “Primary Mathematics” from publisher Marshall Cavendish. Throughout this post, this is what I mean, as well. There are other publishers who use the term “Singapore Math” as well, such as the Frank Schaffer practice books often spotted at Costco, but those aren’t the same as the original Singapore Math Primary Mathematics curriculum discussed in this post. We use the Standards Edition. All the textbooks are full-color, unlike the U.S. Edition (not a deal breaker, but a really nice perk if you happen to have a very young math aficionado.) And in my opinion, the Standards Edition it has the very best, most thorough teacher’s component. This chart from Marshall Cavendish explains the differences between the U.S. Edition, the Standards Edition, and the Common Core Edition of Singapore Math. There are so many books for each level of Primary Mathematics. Which ones do I need? For a complete Primary Mathematics curriculum, you’ll need the Home Instructor’s Guide, textbook, workbook, and Mathlink cubes. One full year of math instruction will require a minimum of six books: A and B level Home Instructor’s Guide, A and B level textbook and A and B level workbook. The Home Instructor’s Guide serves as the planner and teaching guide for each lesson, after which the student is assigned a few workbook pages and a few textbook pages. Because Singapore is neither spiral nor mastery but a combination of the two, there actually aren’t that many problems assigned each day, so textbook and workbook together isn’t an overload of material. We do not currently do the separate supplementary Singapore Math practice books containing challenging word problems, tests, or intensive practice at this point, although they are available. At the end of the post, I list the additional math resources we currently utilize. What are the grade equivalents to Singapore levels? Before Singapore Math redid their website, they used to have a section stating that Singapore level B of one grade is equivalent to the first semester of the following grade (1B and 2A make up a typical second grade year, 2B and 3A are equivalent to third grade from another publisher, and so on). Once the website was revamped, that page disappeared. Now, the homeschooling planning section links to Singapore Math assessment/placement tests, and advise students start with an assessment two grade levels below their current math level. What about middle school and high school (secondary-level) Singapore Math? What books do you recommend if I want to begin Singapore Math in preschool or kindergarten? We used — and loved — Earlybird Kindergarten Math, Standards Edition. For both the A and B levels, a Teacher’s Guide, textbook, and activity book is available, as well as additional storybook readers. While I’m a huge proponent of the Home Instructor’s Guides for Primary Mathematics 1A and up, I actually found that for Earlybird, just Textbook A and Textbook B themselves provided a fun and comprehensive kindergarten math education. Unlike the Primary Mathematics textbooks which contain no teacher’s segment, Earlybird textbooks do include separate teacher’s notes at the bottom of each page, which guide the parent through each lesson. The first book, A, doesn’t deal as much with actual numerals as it does with mathematical reasoning, and learning to express why sets of items are “different from” or “similar to” each other. This emphasis on why, focus on pictorial representation, and lack of writing makes Earlybird A a thorough yet developmentally-appropriate first introduction to mathematics and critical thinking. I would say the curriculum could be undertaken as early as four years old — or even an older three-year-old in the case of a precocious child. Since the program starts out slowly, some fail to see the need for Earlybird A. However, by the end of Earlybird B, though, the practical foundation laid by the seemingly slow exercises in Earlybird A become very clear. We did lots more than one page/day during the easy units, and slowed down a bit for the more challenging units. Earlybird A and B are a terrific foundation for Primary Mathematics. The whole kindergarten course is extremely simple and open-and-go. For A, the only manipulatives I used were shapes cut out of construction paper, although wooden or plastic tangrams would have been more practical and durable. Once you begin Earlybird B, I would recommend purchasing some physical counters (like the recommended Mathlink cubes as manipulatives. You’ll want to have counters anyway as you go on to 1A and beyond, as they are an integral part of the program. Singapore Math suggests additional manipulatives as well, should you wish to invest in more hands-on math materials. Besides Singapore, what other resources do you use for elementary math? 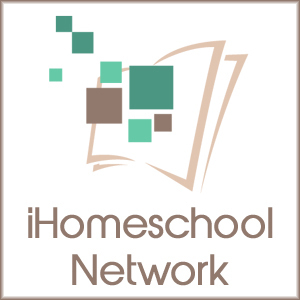 This post has been linked to iHomeschool Network’s Our Homeschool: What’s Working and What’s Not. Click the image below to read other #ihsnet bloggers’ mid-year curriculum reviews! Thank you SO much for writing this post! I’m eager to give Singapore Math a try! My son is over halfway through Horizons K but every day is a battle. The repetitive writing and covering concepts he has already mastered is very frustrating to him. This is my first year of homeschooling and I’ve obviously already invested money that I can’t get back. I’m willing to switch now if it’s best for him. I’m just not sure if I’ll be putting him behind if we start with the Earlybird A? I would say that he is pretty advanced in math but I certainly don’t want to miss a key concept. Any thoughts on where I should start? Thanks! I would think Earlybird A is far too easy (there’s not even really any numerals in that book!) I would try Singapore Math’s placement tests. Maybe try the exit exam for 1A, and see how high he scores, then go from there. (note that Singapore website links often don’t work on mobile, so you may need to go to a computer to see this link). I’m thinking at least 1A? Thank you for sharing your experience. I am curious to learn more about the Primary Mathematics and how it compares to Math in Focus. 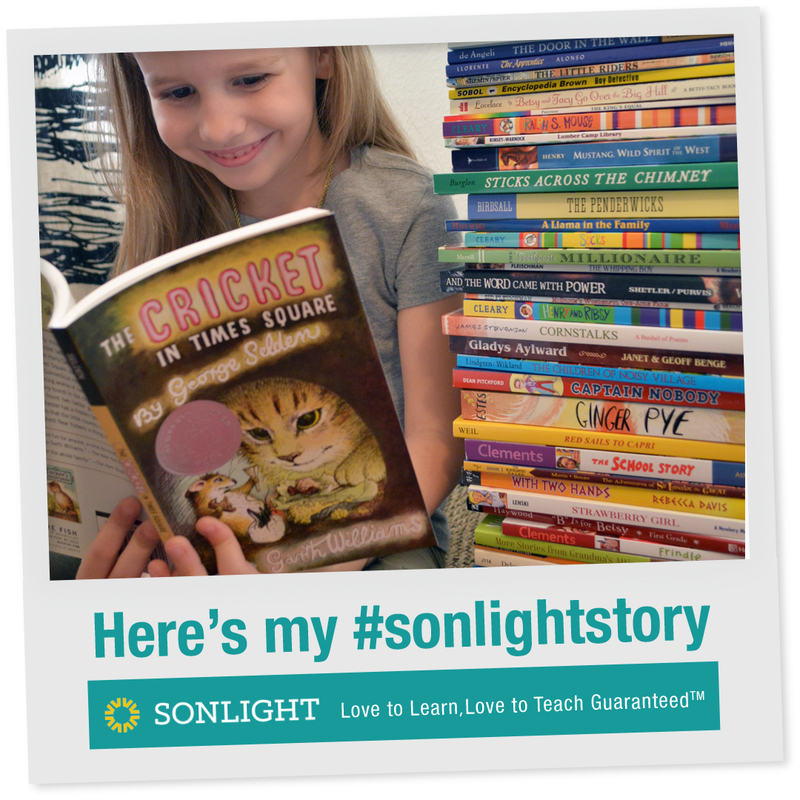 I started my eldest daughter with Right Start Math and it wasn’t for us. After completing most of their level A we tried jumping into Math in Focus level 2A and she was lost as some important steps had been missed. We then started with Math in Focus level 1A and have been doing quite well with it. 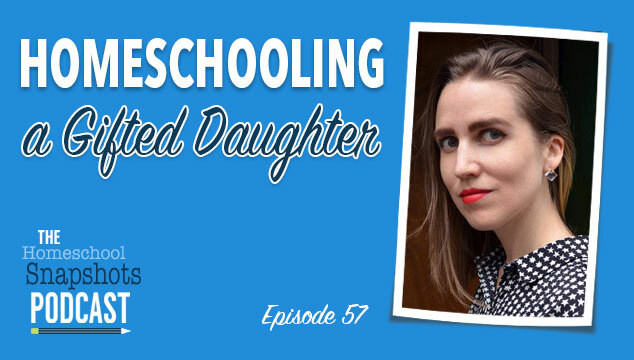 We have even included my middle daughter in these lessons and she is working right along with us without having the experience of the kindergarten level workbooks which I have set aside for my youngest son. Anyway, I would like to know where I can compare the different curricula offered by Marshall Cavendish. I followed the link (on my phone) and no results came up. I might try it on the computer later. I would also like to know if switching from different editions within one publisher’s curricula will set us back as it did with our last switch. Hi Jeren, you’re right that they’re both by Marshall Cavendish, but Math in Focus is newer and is distributed by Houghton Mifflin Harcourt in the United States, while Primary Mathematics is the original and is distributed by Singapore Math Inc. Each program has a separate website, so the Primary Mathematics / Singapore Math Inc links I’ve included here (like this comparison of all the Primary Mathematics editions*) don’t actually talk about the Math in Focus / Houghton Mifflin Harcourt program. Cassandra Turner has written a nice comparison between the two, though! She does say here, “If given a choice, I’d opt for Primary Mathematics.” Hope that helps, or at least gives you enough information to research further. *for some reason, the link doesn’t work on mobile. You’ll need to access it via a desktop computer. Thanks for this information! I really want to like Singapore and am hoping it works well for my kids. My oldest will be a 1st grader this fall and we haven’t done alot for kindergarten besides playing and reading books. A few workbooks here and there for some basic math which she loves. I have ordered the Earlybird B book to see how we like it and hopefully get her ready to start the Primary math this fall. Hope your school year with Earlybird is off to a great start! Thank you for that information! I’m actually in New Zealand. Does any of the editions of Primary Mathematics use metric system? Yes! We’ve used the Standards Ed, and it has lots of metric. Thank you so much for taking the time to review this curriculum! I’m a new homeschooling Mom and my 3 year old is already showing proficiency in counting, basic addiction and matching /finding the difference between similar objects. I may have jumped the gun, but I ordered Earlybird A textbook and activity book to start with him in September. As I’m thumbing through and reading the teacher points at the bottom of each page, I noticed off to the side is a picture of one of the ‘big books’ I saw on their website. My question is, How did you include the stories? As I’m not finding it clear in the notes. Again, thank you for this wonderfully thorough review! Angela, my daughter started Earlybird A at 3 as well :) I can’t answer your question about the Big Books, though — we didn’t use them. Sorry about that! Thank you for this excellent and detailed review. I am currently using Saxon 1 with my 5-year-old and Miquon as a more exploratory supplement, but neither of us like Miquon. I may try Singapore instead. I’m also intrigued by the Shanghai math. Do you use the teacher’s guide, or just the workbook, since you’re already teaching math concepts with Singapore? We’ve just used Shanghai workbook on its own as expanded practice. The way the problems are presented are really from more of the Singapore way of thinking, which I love. Hi! Does the Standards edition use US currency in the money section? Hello Favantines, thanks so much for your comment. I’m afraid I’m no expert on what’s available in the Aus market, but I’ll share what info I can. The Home Instructor’s Guides are indeed still in print here in the US for the US Edition and Standards Edition of Primary Mathematics (published by Marshall Cavendish). I have done some searching, and it seems what is most likely to be available to you may be the Teacher’s Guide for Primary Mathematics. These are similar to the Home Instructor’s Guides. “My Pals Are Here Maths” is also published by Marshall Cavendish (I have used My Pals are Here Science a bit as well.) There IS a “Teacher’s Planning Guide” available for “My Pals Are Here Maths”, but I’ve not been able to get my hands on it here in the United States, so I don’t know how similar it is to a Home Instructor’s Guide. As fas the “New Syllabus Primary Mathematics”, I’ve only seen that published by Shing Lee Publishers, not Marshall Cavendish. Thank you for this super educational post! So much more I did not know about Singapore Math, & its timely as I was doubting if it would work with another busy child. I love what you said about the fundamental differences in teaching Math in Singapore vs. in America. Also the differences in cultural mindset, here in Africa too there is awareness that proper instruction can ‘open doors,’ but often we just look at Math ability as a gift. I regret not purchasing the Gr1 home Instructors Guide separately (Sonlight didn’t recommend it till Gr 2). I think I need to invest in it for future grade ones in our home. Thank you; I’m excited to continue! ( apologies, Anonymous above is me! Hi there! I am about to begin homeschooling my 5-year-old, and am considering the Singapore Early Bird Kindergarten curriculum. Your thorough post has been very helpful! As I was exploring the Singapore Math website, I saw a new curriculum they are offering called Dimensions, which starts at the Pre-K level. I am curious about your thoughts on this new curriculum. Have you heard anything about it, or seen it? I know your child is beyond pre-k, but I would love to read your thoughts on the Dimensions curriculum, if you ever have a chance to review it. Thank you! 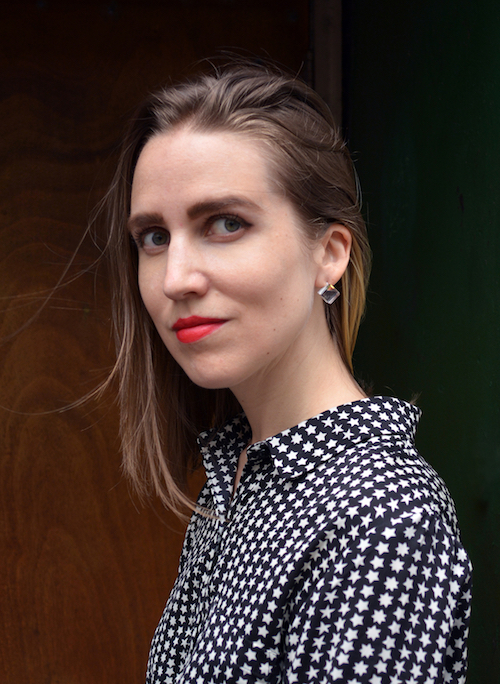 Erin, I’m intrigued by Dimensions, but haven’t had a chance to check it out yet! I hope to get my hands on it soon. Hi, I was wondering if you think skipping Earlybird Math & going right to 1A for Kindergarten would work? 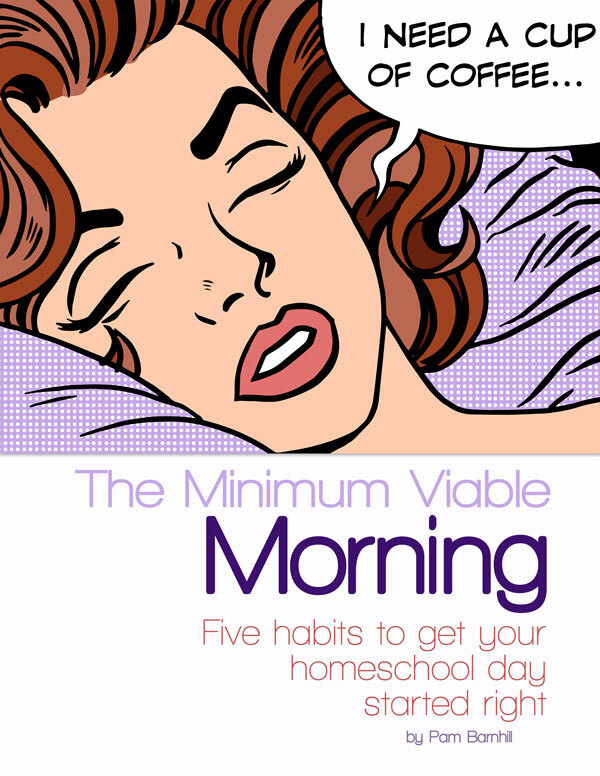 Or is earlybird essential even if I have a late starting Kindergartener who is almost 6? He recognizes numbers 1-10 and can count to about 15. For a very young learner, Earlybird A is great first introduction to mathematics, since kids learn to express why sets of items are “different from” or “similar to” each other. It has virtually no numerals, just mathematical concepts. Even though Earlybird A is establishing foundational math, it’s not instantly recognizable as computational math. Earlybird B, though, is recognizable as math, and starts off with numerals. I am wondering if your little guy would do well to start with the Earlybird B textbook? It’s visually a lot more interesting than Singapore 1A, and actually only requires one book — the textbook — rather than the textbook/workbook/home instructor’s guide set needed for 1A. I’d recommend starting with Earlybird A for a preschooler who doesn’t know his numbers, and Earlybird B for a kindergartner who does. I don’t think Earlybird B is too easy for kindergarten at al. By the end of the book, the student will be counting by 2s, 5s, and 10s — and understanding the concepts behind that, too! And I would highly recommend purchasing some physical counters (like connect-a-cubes, or raisins ;) as manipulatives, to accompany this. You’ll want to have counters anyway as you go on to 1A. Hope this helps! What a great post on Singapore Math. For us it didn’t work out as well so we have been using Beestar for years. I still think having a variety of resources is always the way to go. Thanks for such an amazing post! I started my 7 year old in 1B US edition. I thought we’d be good with that but it proved to be too much (I was having to help too much with each problem in the workbook). I had an Abeka math 1 so we are finishing that. But maybe I should just switch to using Singapore 1A. She just turned 8 and isn’t great on her addition/ subtraction math facts. I don’t want to confuse her by switching back and forth. I know Abeka is a spiral technique and I was ready to drop it completely but she seems to enjoy the colorful pages and is progressing better now on her own with less of mom’s help. Do you think it would help her if I started in 1A after we finish with Abeka math 1? I don’t mind if she is a little behind now as I really don’t want to skip through the foundational math. I was thinking it might help to see each approach. I would love to hear your thoughts on this! Thank you in advance.